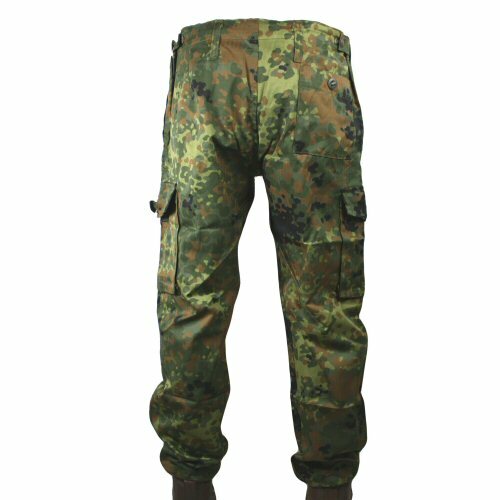 Special rush production, but never issued, Flecktarn trousers in lightweight herringbone material for tropical and hot weather wear. The trousers are cut and made to UK S95 sizing, with contract labels inside stating NATO sizing in leg/waist/seat. 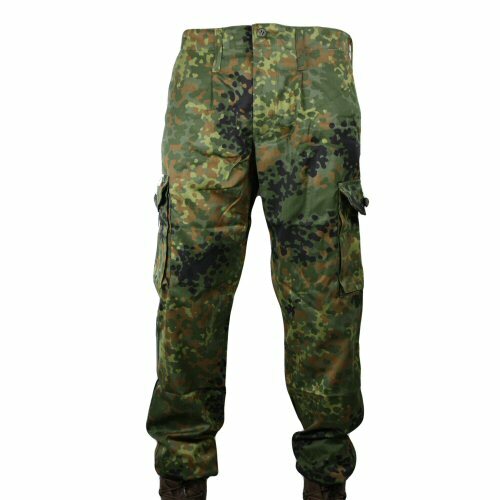 The trousers feature slotted buttons waist and zip fly, slotted button seat pocket, slotted button waist adjustment tabs and large bellows cargo pockets on leg. The trousers also have a light pleat under the front belt loops. Belt loops are extra long to accept up to 60mm wide belts. Large slash hip pockets are on left and right. Ankles have drawstring hems for easier blousing. 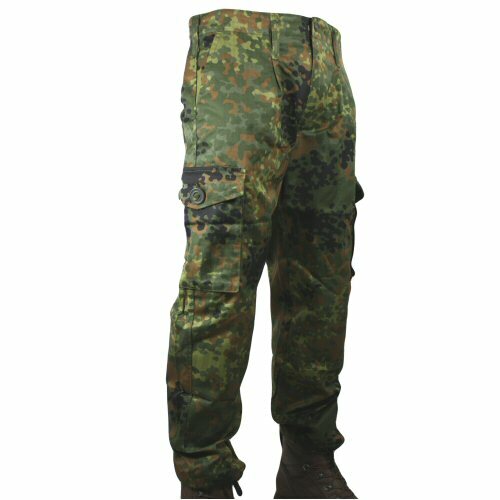 The trousers are colour true and constructed to military specification in the EU. Sizes available are 82cm (32 inch inside leg) long, waists from 36in (92cm) to 41in waist (104cm). Available options are: 36 , 38 , 39 , 41 . 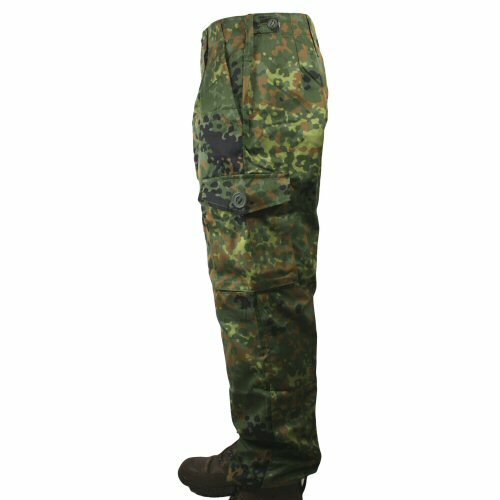 Side view of the trousers, showing the leg pocket and side tab adjustment. The rear of the trousers, showing the seat pocket. An angled view of the right side of the trousers. 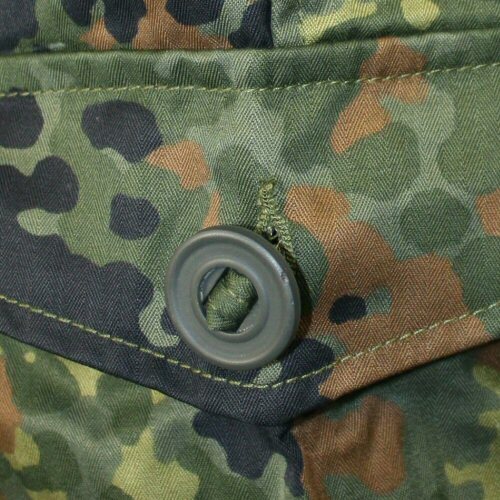 A close view of the fabric, stitch details and leg pocket button.